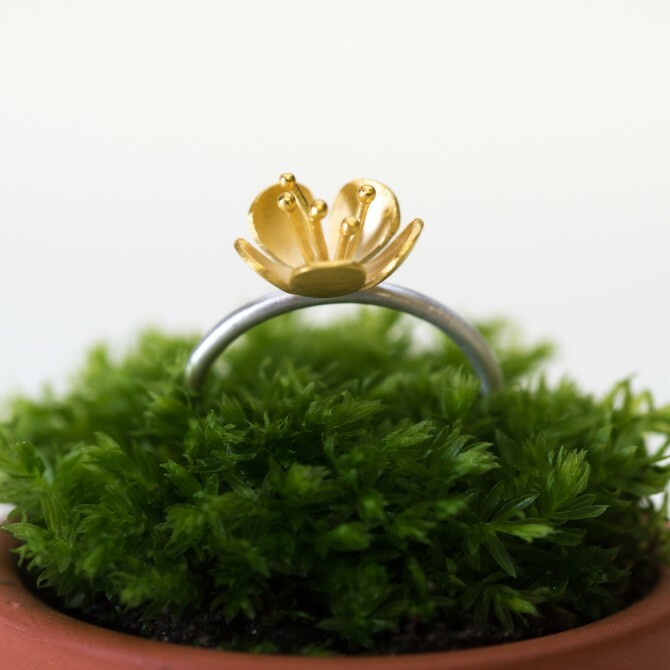 This beautiful silver and gold plated ring is inspired by buttercups. Buttercups are a springtime flower that has always inspired me since childhood. 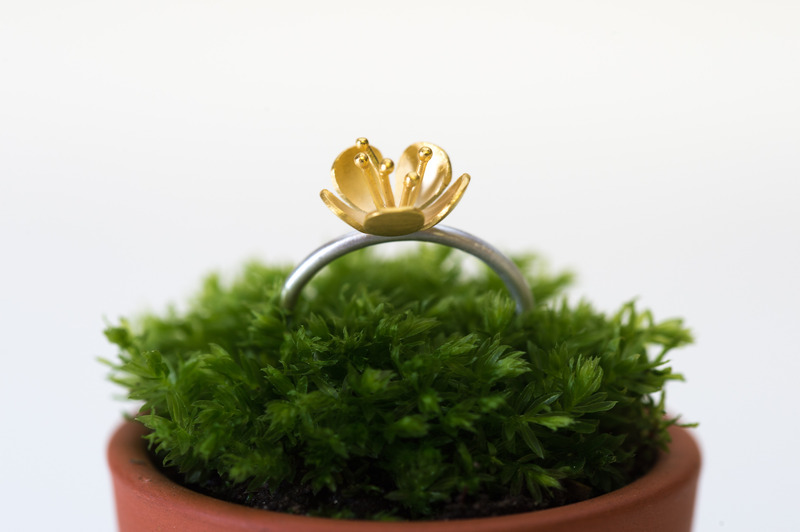 This ring is perfect for special occasions and stacks beautifully with the small buttercup ring. It has a contemporary brushed matt finish with slightly polished edges on the petals. 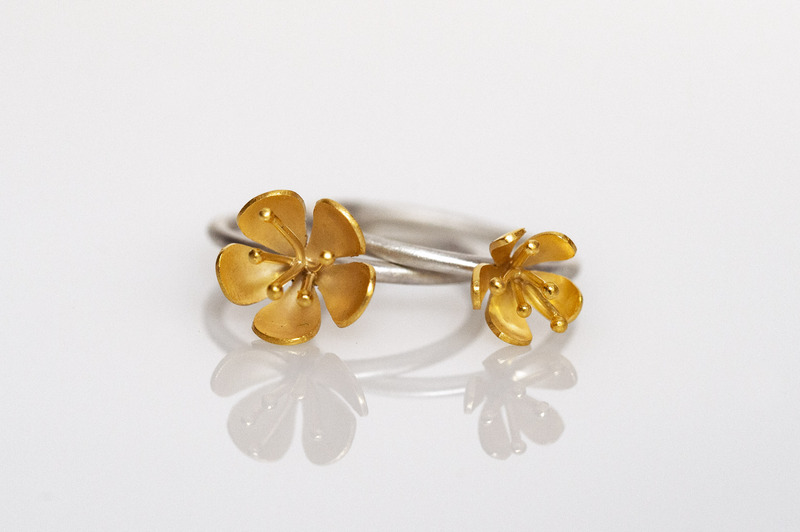 The buttercup has been 18ct yellow gold plated and measures 10mm across and 8mm in height. The ring has been made from solid hallmarked silver wire. You may find very slight variations from the piece pictured as each piece is unique and handmade in my workshop. All my rings are made in three sizes; small, medium or large. 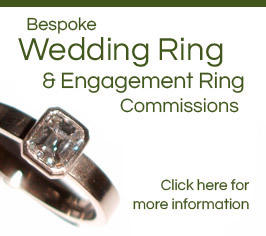 Please specify the size you would like when ordering or the exact ring size if known. If you put the ring under your chin it even glows just like the childhood saying "Do you like butter?" 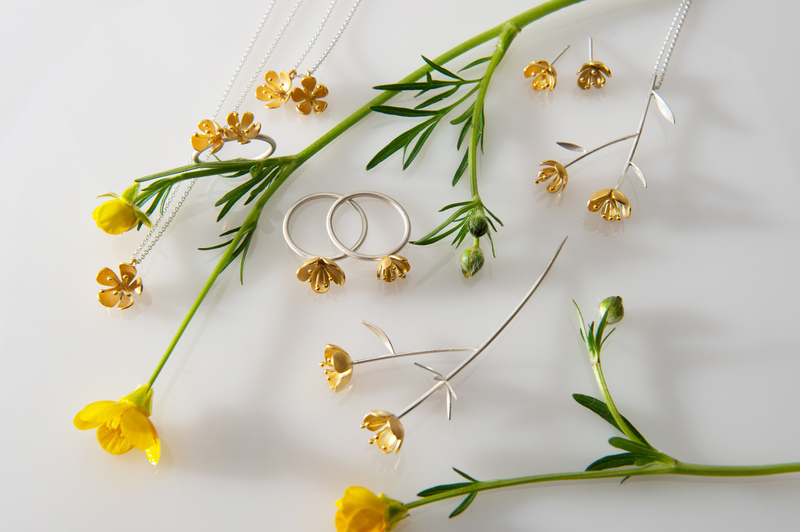 A beautiful gift for those who love wildflowers.